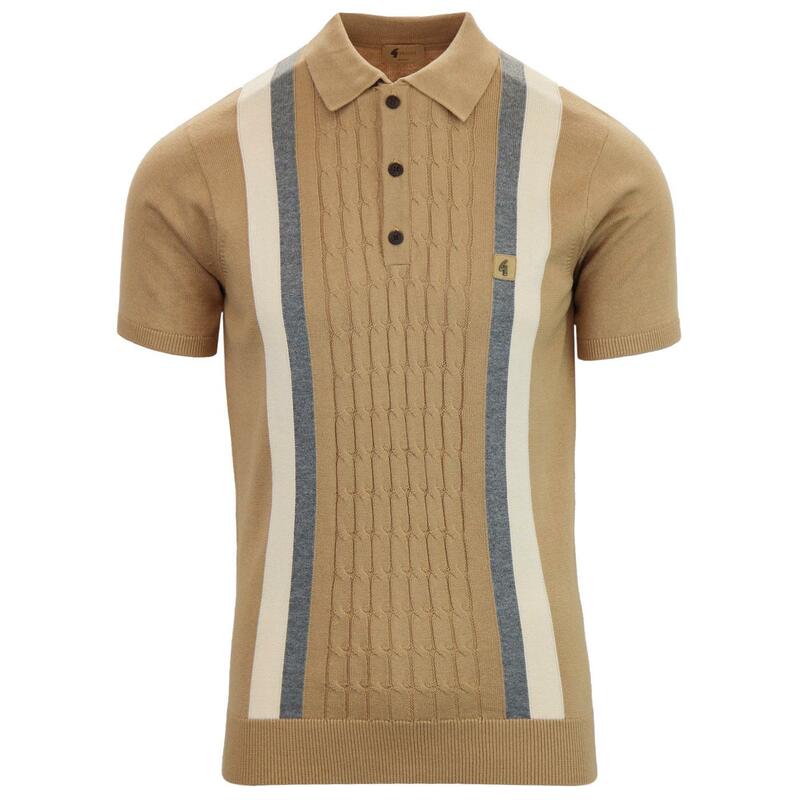 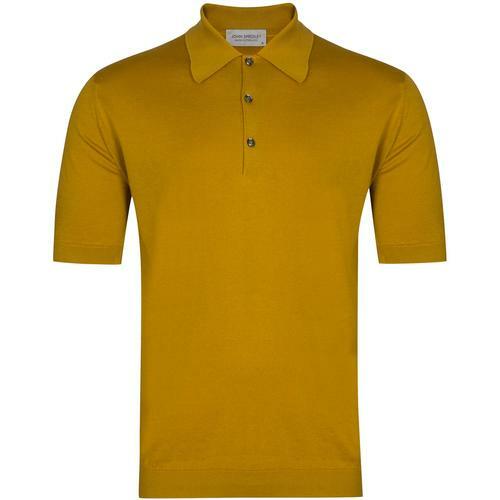 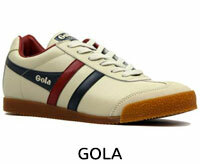 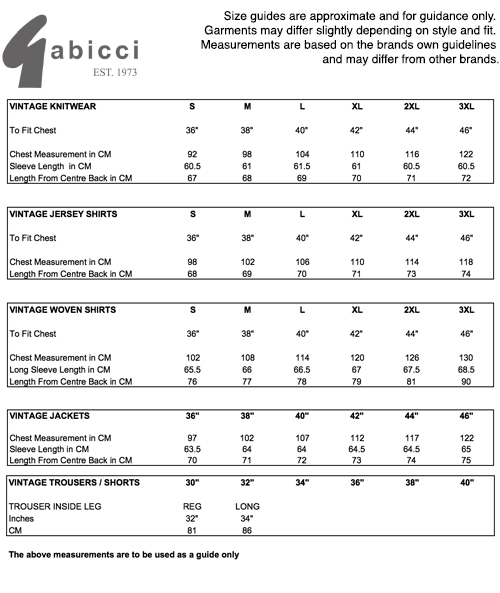 Gabicci Vintage Turney retro 70s mod double racing stripe knitted polo in Butterscotch. 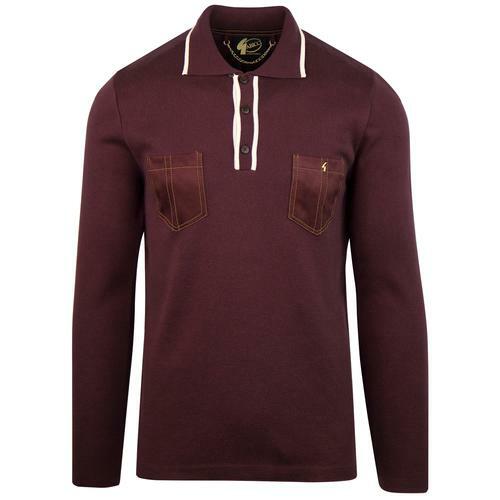 Short sleeve polo with retro cable knit detail centre panel and twin racing stripes to either side. 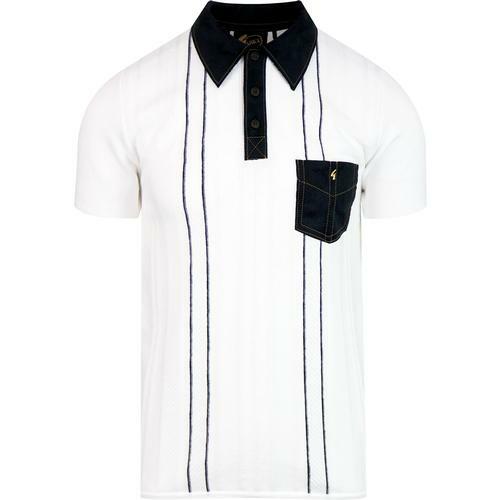 3 button placket and a classic mod polo collar.